برای خرید کتاب Adverse Effects of Engineered Nanomaterials, Second Edition با گیگاپیپر مکاتبه کنید. 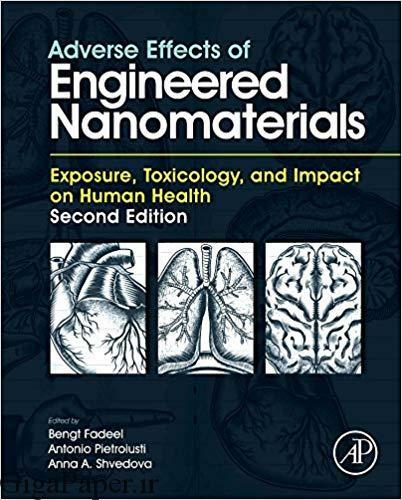 Adverse Effects of Engineered Nanomaterials: Exposure, Toxicology, and Impact on Human Health, Second Edition, provides a systematic evaluation of representative engineered nanomaterials (ENM) of high volume production and their high economic importance. Each class of nanomaterials discussed includes information on what scientists, industry, regulatory agencies, and the general public need to know about nanosafety. Written by leading international experts in nanotoxicology and nanomedicine, this book gives a comprehensive view of the health impact of ENM, focusing on their potential adverse effects in exposed workers, consumers, and patients. All chapters have been updated with new sections on the endocrine system and other organ systems. In addition, other newly added sections include introductory chapters on the physio-chemical characterization of nanomaterials and interactions between nanomaterials and biological systems, as well as a new chapter that explores risk assessment and management of nanomaterials. This book fills an important need in terms of bridging the gap between experimental findings and human exposure to ENM, also detailing the clinical and pathological consequences of such exposure in the human population.